Heteropteryx dilatata is an insect that many must have seen around their garden. 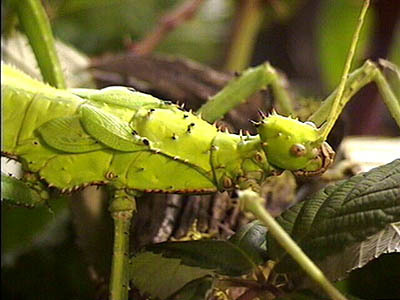 This type of insect looks like a green leaf and uses its camouflage for its defense. Recently, raising Heteropteryx dilatata as pets has become a trend amongst insect lovers. 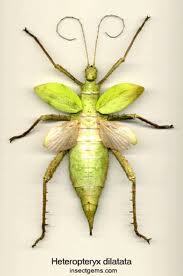 A female Heteropteryx dilatata is larger in size and is green in color with a heavy back. Male Heteropteryx dilatata are smaller and brown in color and looks like sticks. Many agreed that raising this creature as pets are interesting as they are not as harmful as a lot of other killer insects. It is recommended for those who wish to breed insects at home should start with Heteropteryx dilatata as they a lot easier to care for. Heteropteryx dilatata is a nocturnal insect which means they are active during the night and rests during daylight. This creature breeds in normal tropical climate which is suitable in South East Asia region. In order to reproduce, both male and female are required to mate. A female Heteropteryx dilatata can lay up to 100 to 150 eggs each time. It takes about 10 to 14 weeks for the nymph to hatch and even at a starting stage the Heteropteryx dilatata is already big in size as compared to other insects which is about 2 to 3 centimeters in length. A male nymph is often seen riding on the back of the female nymph and unlike traditional belief of reproduction, Heteropteryx dilatata normally travels in pairs. An adult female heteropteryx dilatata is green in color built with a heavy back. It is twice the size of an adult male heteropteryx dilatata. It can grow up to 6 inches in length and it said to be more violent than the male species. When it feels threatened, the female nymph will extend its tail and its abdomen, pushing it upwards and extend its hind legs that have developed its spikes. To attack, the nymph will simply crosses their legs in a scissor-like manner which will lightly scratch the attacker. They also make hissing noises in order to warn off any coming intruders. It is a lot more different for the male. Although, they are smaller in size the male nymphs too grow violent once it becomes an adult but not as violent as their counterparts. The male heteropteryx dilatata grows up to 4 to 4.5 inches in length and it is a lot slender compared to the female heteropteryx dilatat. Also its wings are pinkish in color. 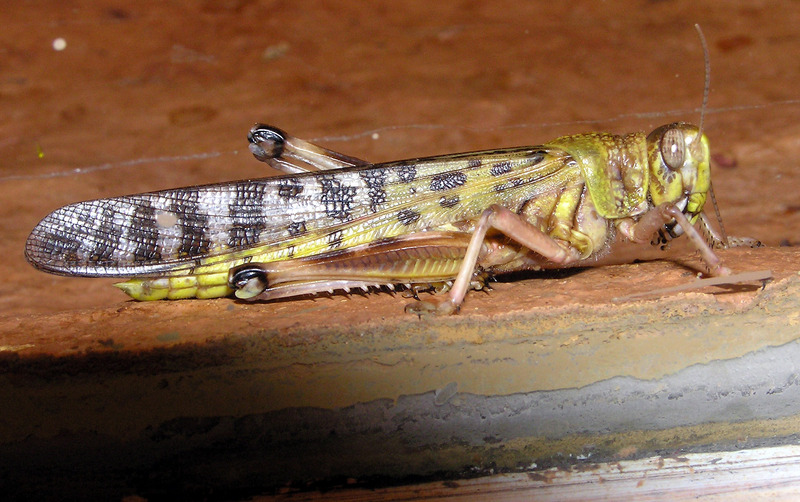 Unlike their female counterparts, the male nymph does not make hissing noises to warn off intruders. The male species of this nymph are able to fly even though the female nymphs have wings, they are unable to fly. This winged insect is a vegetarian! Heteropteryx dilatata feeds on plants, nuts and berries. Their usual diets requires brambles, hawthorn, rose, mangoes, hazels and red and yellow salmon berry. These nymphs are not dangerous and are born without any killer instincts. Heteropteryx dilatata is the largest type of insect exists in this world and can be found in the West Malaysia regions inside the tropical forest itself.